The Xenomorph king is a special type of Alien rarely seen in the Alien lore. It is known to be bigger than the queen Alien and even more aggressive. There is no evidence of the Xenomorph king ever mating with a Xenomorph queen. They are more likely to fight. 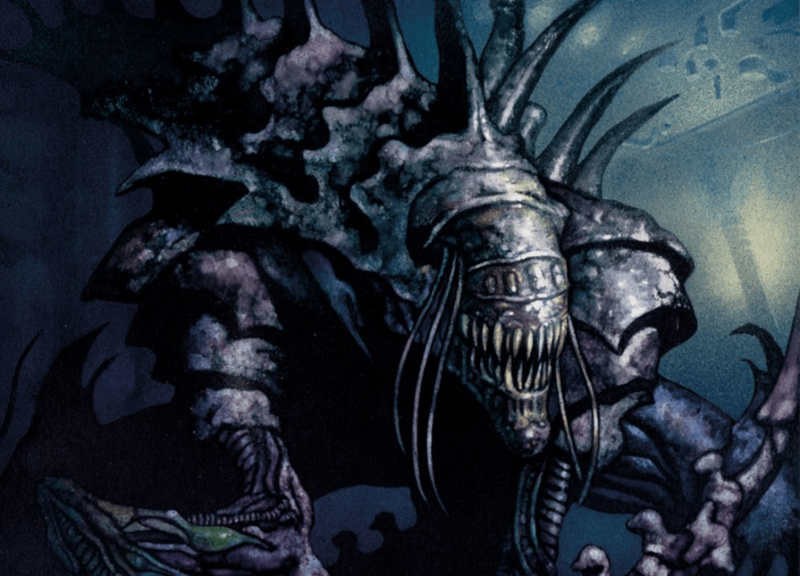 Here is a list of all notable Xenomorph kings from the Aliens lore, including comics and action figures. The Rogue Xenomorph was a genetic experiment created by Professor Ernst Kleist at Charon Base. It was a creature bigger than all the other Alien types, including the queen. It had reddish skin and spikes all over its body. The Rogue didn't feel much loyalty towards the hive and actually fought the queen Alien. It lost the fight because the queen was able to outsmart it. 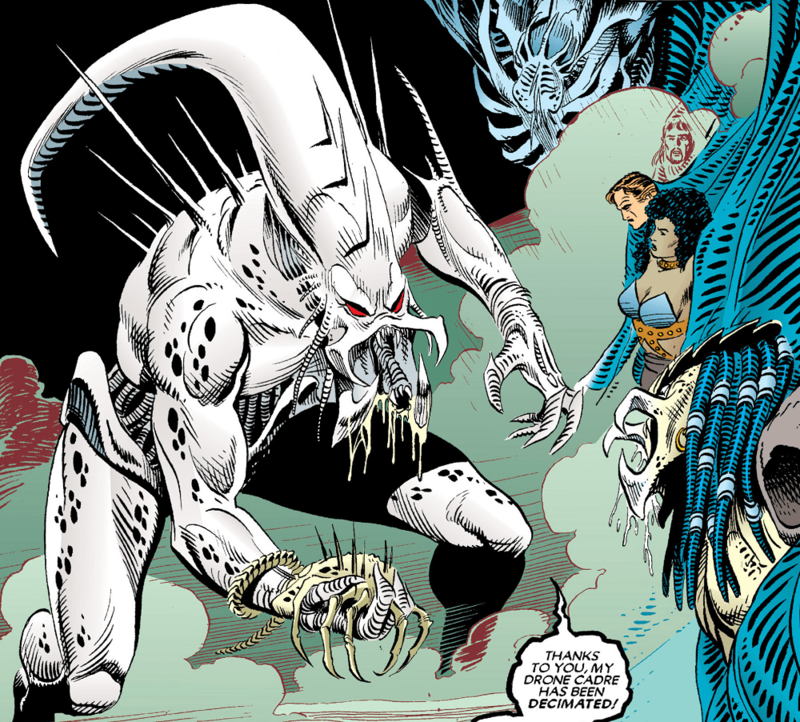 The Rogue was featured in the Aliens: Rogue comic book and novel, later released as part of the Aliens Omnibus: Volume 3. Not a Xenomorph king per se, the hybrid king was the leader of the genetically-engineered hybrid creatures created by the corrupted AI computer mainframe "TOY". The hybrids possessed traits of Xenomorphs, Yautja, and humans. Physically, it was perhaps most similar to a Predalien but with white skin. The Hybrid king was bigger and stronger than the regular white hybrids or Xenomorphs. It had a high level of intelligence and could even speak. Similarly to the Rogue, it had spikes on its body and is killed by a queen Alien. 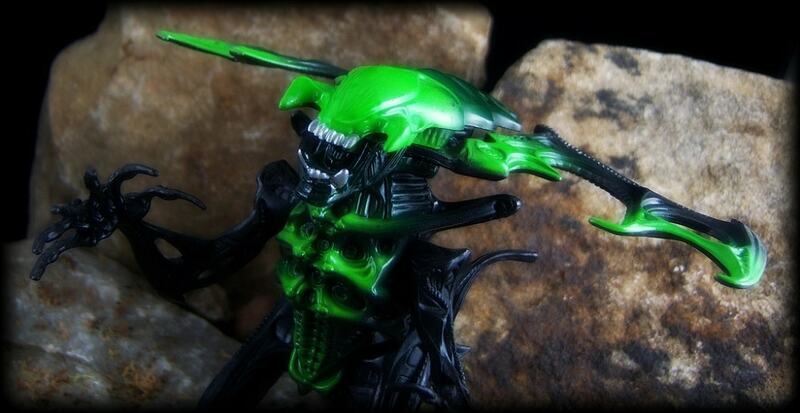 The hybrid king was featured in the Aliens vs. Predator: Deadliest of the Species comic book, which is part of Aliens vs. Predator Omnibus: Volume 2. In 1994, Kenner released the 4th series of Aliens action figures. It included the King Alien. The King Alien came with a 2-pack along with a Dwayne Hicks figure. It was also released separately, but with a greenish paint job. Although previous Kenner action figures came with a small comic book, the King Alien figures were missing this feature. The other action figure comics did not feature it either, so there is not much explanation for its existence (other than to sell awesome toys). It is hoped that NECA will make a figure based on this Xenomorph king, as they have done so in the past with other figures. In 2016, the Sideshow Collectibles released an Alien King Maquette to celebrate the 30th anniversary of Aliens. Partly inspired by Giger's original designs, and partly by the Rogue Alien, it is quite an awesome figure. 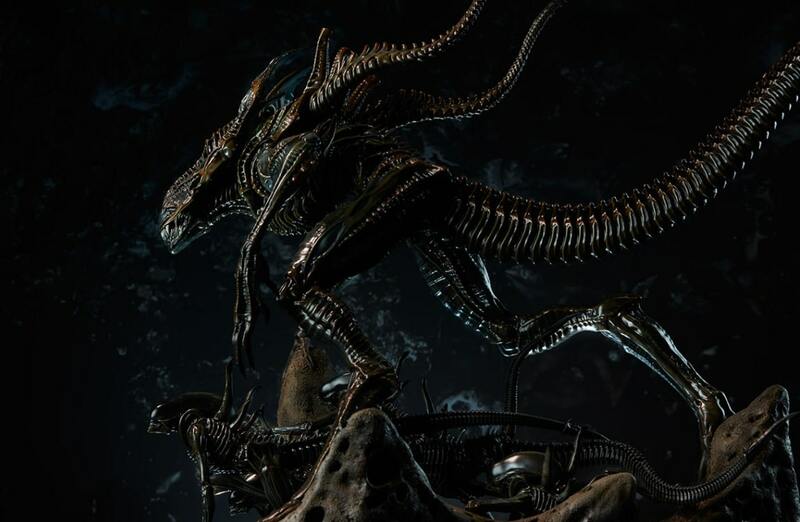 Compared to regular Xenomorphs standing on its base, the Xenomorph king is about 5 times bigger than them. Its head crest is perhaps slightly smaller than the queens, but its legs are more muscular. Want to know more about Aliens? Check out the list of the most Badass Aliens and information about the Female Xenomorph.